1. To alleviate poverty and create decent livelihoods in developing countries in Asia, Africa and South America through the promotion of Fair Trade. 3. 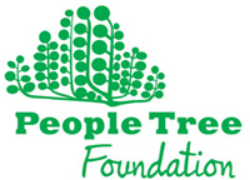 To promote community development by supporting community projects where People Tree works (including the establishments and running of schools). 4. To promote and develop awareness of Fair Trade and environmental issues in Britain and the developed world. From time to time we will publish volunteer roles here.